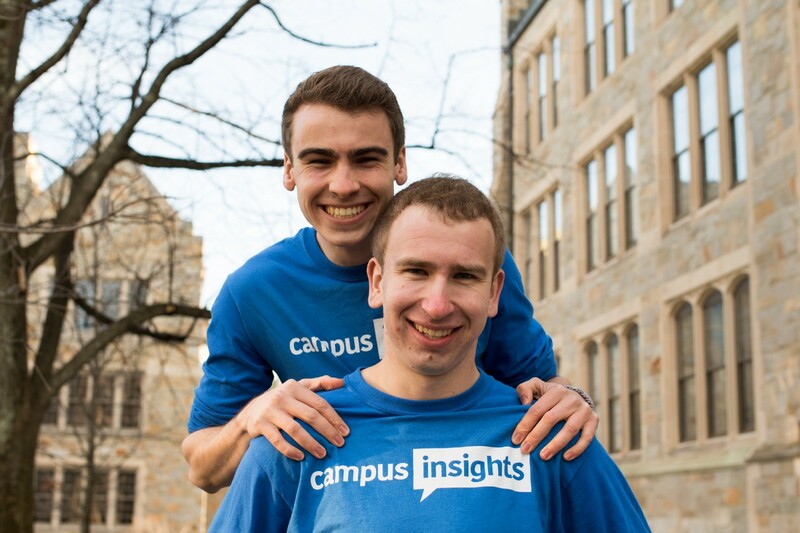 Today we’re incredibly excited to announce that Campus Insights has been acquired. Moving forward, Campus Insights will be under Harvard Student Agencies (HSA), the largest student-run company in the world. 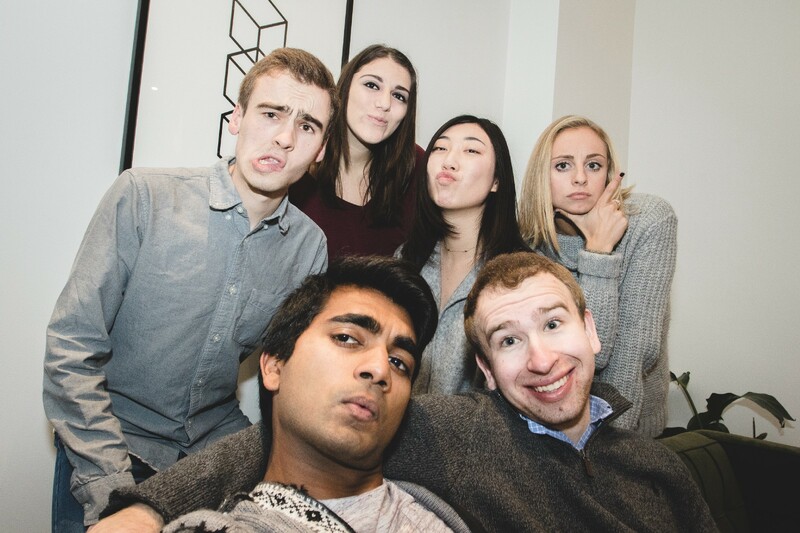 It’s been a fun, crazy last three years building Campus Insights with my co-founder and brother Stephen Soward, and our amazing team: Ameet Kallarackal, Amy Eastment, Irene Kim, Kelsey Bishop, and Rachel Goffin. 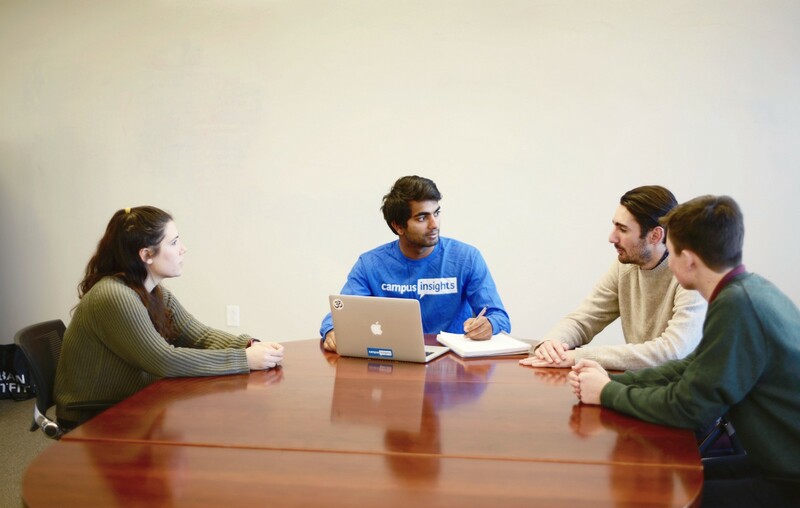 This post shares a bit about our story, why we’re selling Campus Insights, and how Campus Insights will benefit from being under HSA. Thanks in advance for reading! Stephen and I founded Campus Insights in November 2014 with the belief that college students are most comfortable talking with their peers. By building a student-run user research firm around this thesis, we believed we could uniquely uncover candid, accurate insights from college students. To test this idea, we bought two video cameras on eBay and a couple tripods off of Craigslist and ran around college campuses filming students’ reactions to various products. We then sent these videos to the companies who made the products and found that many of the companies responded positively, asking if we could conduct more interviews for them. Realizing we might be onto something, Stephen and I started spending all of our time outside of classes on Campus Insights. 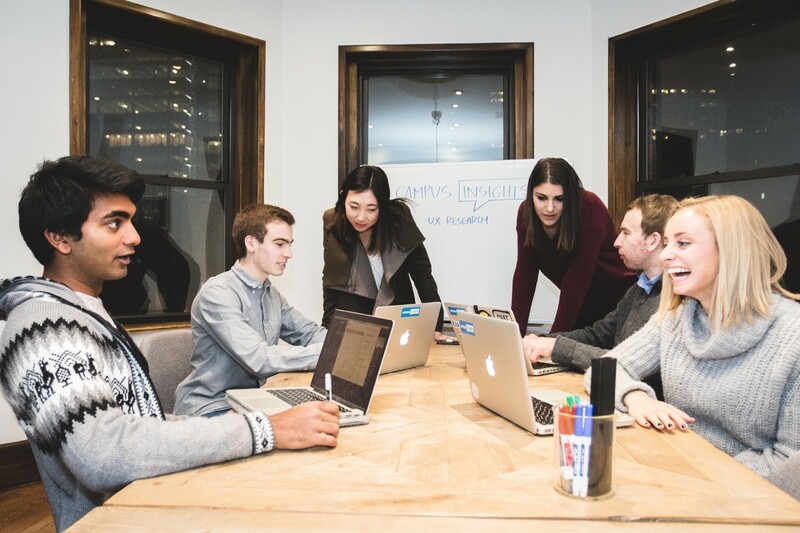 Fast-forward to today – we’ve grown our team to seven folks and have gone on to work with some awesome companies including Airbnb, Venmo, GoFundMe, Chegg, and Brandless. We’ve also transitioned to mainly doing remote interviews, allowing us to reach people across the US and around the globe. Furthermore, we’ve expanded to researching not just college students, but almost any age group our client asks us to interview (while keeping our specialization in Gen Z and Millennials). In the last three years, we have conducted a myriad of user interviews. We have learned more than we ever hoped to know about how individuals use dating apps, have gained an understanding of how a perfect artsy Instagram photo is created, have discovered what strategies students use to creatively finance their college education, and more. We started mapping out how it’d work if we passed Campus Insights off to a new team of students and, at the same time, we began exploring acquisition opportunities with companies that could take Campus Insights to the next level. As we got further along, it seemed like our two important things were irreconcilable with one another. Continually passing down Campus Insights from one group of students to another could be risky. And potential acquirers who could help scale Campus Insights’ business, of course, didn’t employ students. Then, during a team-wide Campus Insights offsite on a cold winter day in 2017, we ran into a friend of ours, Ben Pleat, while standing in the checkout at a Whole Foods in Cambridge (check out his awesome startup, Doorbell). As we talked about the paths we were exploring for Campus Insights’ future, Ben said we should connect with Harvard Student Agencies and made an intro right there in the checkout line. We hit it off immediately with HSA. From the beginning, we were impressed by their passion, ambition, and genuineness. We loved that they had 60 years of experience building student-run companies. And as we chatted with HSA about their plans for Campus Insights if they were to acquire it, we realized they could not just keep Campus Insights student-run, but also they could scale our business and expand our research offerings in many ways. It was the best of both worlds. After spending a few months working with HSA to map out a shared vision for Campus Insights under HSA, we agreed upon a fair valuation for Campus Insights with HSA, and we decided to sell. Expand Research Offerings: HSA has access to a state-of-the-art user research facility with eye-tracking glasses and accessibility equipment, which we’re looking into utilizing for select projects. Additionally, given HSA’s global network and the range of languages the Campus Insights team speaks, we’re exploring doing research in languages beyond just English. 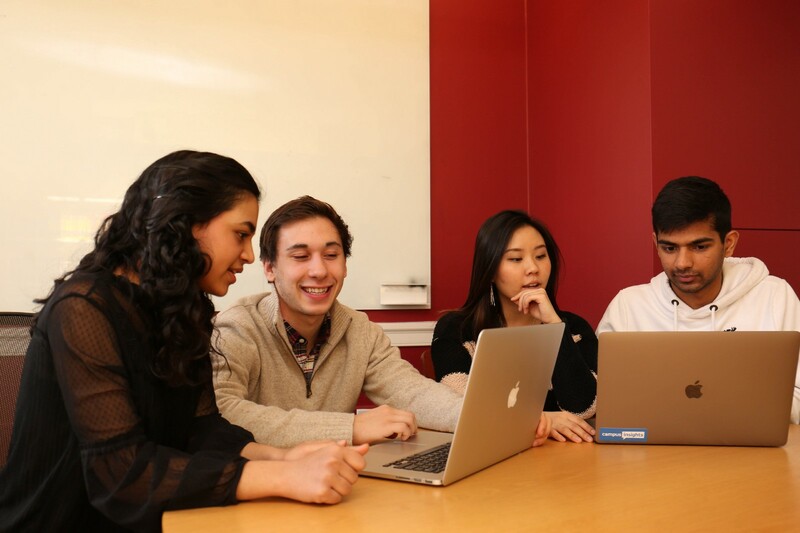 Further Focus on High-Quality Research: HSA has mastered how to find, hire, and train the top students at Harvard year after year. This means Campus Insights will consistently have some of the hardest-working, brightest students in the world on our team. Furthermore, by having Campus Insights be under a larger organization, we’ll have a separate team dedicated to taking care of legal, accounting, office space, benefits, insurance, etc. This allows us to focus 100% of our time helping our clients, rather than being distracted by the random work that comes with operating a business. Broaden Interviewee Recruiting Capabilities: Over the past three years we’ve built strong recruiting capabilities to find participants between the ages of 14 and 55 in the US. But we still have a lot of room for growth. 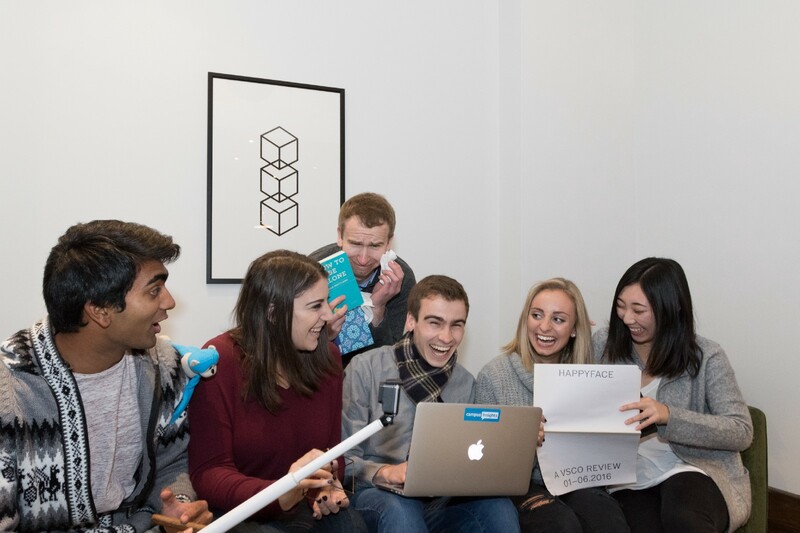 Through the networks of HSA’s 15 other agencies — such as HSA Tutoring, which runs workshops with high school students across the United States and has partnerships with companies across the world — Campus Insights will have an even broader and more precise reach for recruiting research participants. Please note: under HSA we will continue conducting research with folks of all ages, both in the US and abroad (i.e. we aren’t just going to be interviewing Harvard students). Besides the items listed above, Campus Insights won’t really change much. Moving forward, James Swingos, who has been our Head of Business Development, will be taking over as CEO, and will be joined by six other HSA superstars. Stephen and I will remain very involved as advisors. We’ve taken this transition very seriously and have been training the new team for the past six months. They’ve led their own user research projects for clients; reviewed almost all of the client analysis decks from the 3+ years of projects we’ve done; shadowed user research projects with our more veteran researchers; recruited participants for projects with highly precise demographic criteria; and more (including participating in our quirky birthday traditions). James and the new team officially took over on February 1st, but they’ve really been running Campus Insights for the past two months. They’ve been doing awesome so far – we have a tremendous amount of faith in their ability to ensure Campus Insights continues to turn around projects quickly while also maintaining a super high bar for the quality of our research. To everyone who has been part of the Campus Insights story over the past three years – clients, mentors, friends, family – thank you so much. It’s been an incredible journey for us and we’re looking forward to our future under HSA. P.S. Don’t worry – even though we’re owned by a “bigger company” now, we’re staying just as scrappy and fast-moving as we always have been! Interested in working with us? Please email us at contact@campus-insights.com. Also, you can sign up for a free user interview with your product here. Photo Credits: All photos were taken by Claudio Quintana.